I spent this morning hiding out with the BBC 6 Music People's Playlist on Spotify and a big mug of coffee giving my Etsy shop a little refresh. I've added some new products and also gathered up some of my older stock to create some Lucky Dip Paper Treats Grab Bags, which are a real bargain! 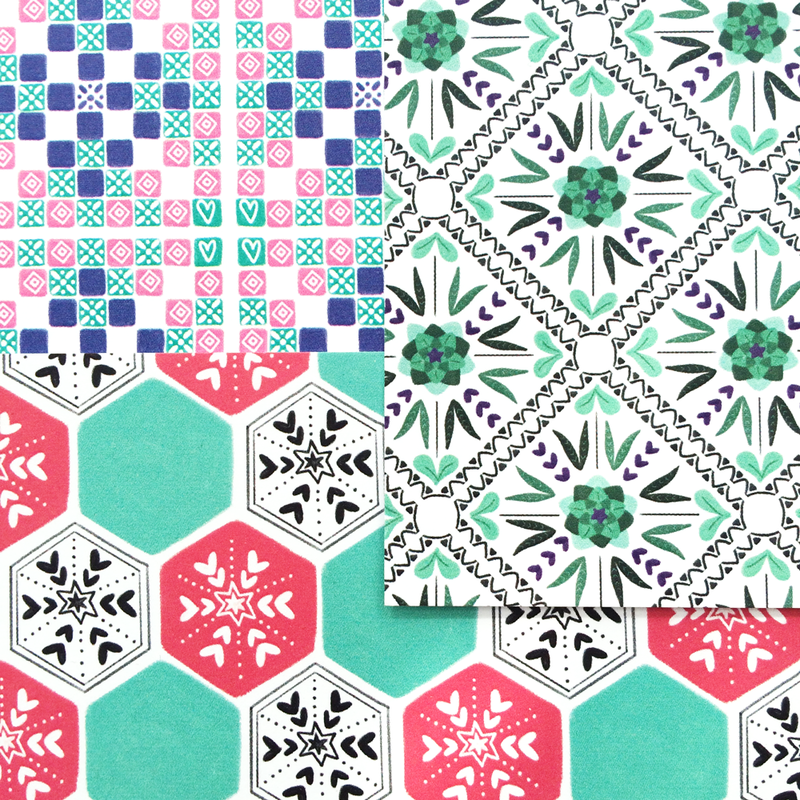 Aren't we all just a little obsessed with pretty tile floors? I created these three designs inspired by trips to France and Italy. 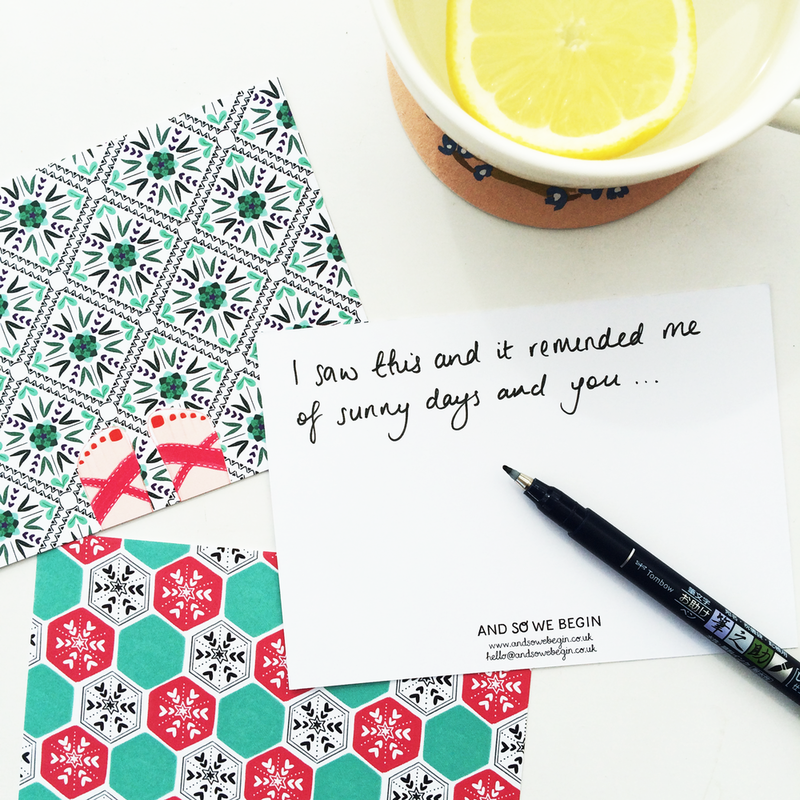 They're perfect to send to someone to reminisce about a holiday or to invite someone on a trip. You can feed your obsession more with this hypnotic Instagram account. My Golden Stars Girl illustration is inspired by Babushka by Kate Bush and the golden stars then led me to draw Polar Bear Cuddle. Both are great all purpose cards to send out of the blue to someone you love. I don't know about you but I love a stationery bargain! As I'm refreshing some of my stock, I've created some treats for you. You'll get a pretty selection of TEN items for just £5. That's just 50p per item! 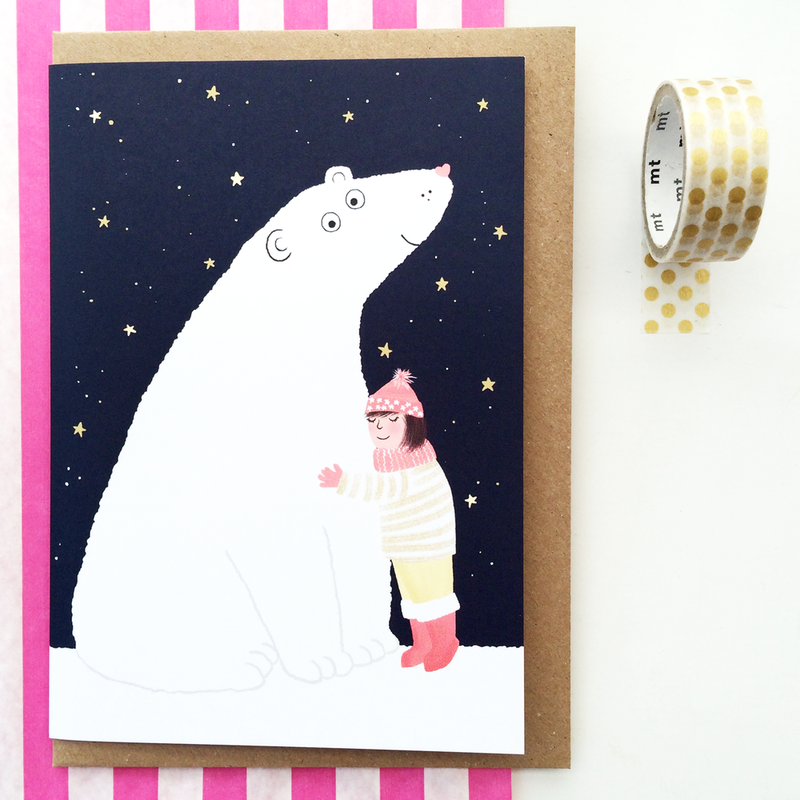 Restock your card drawer, get some cute illustrations for your desk and send a little bit of pretty to someone you love. The photo below is just an example of the treats in the lucky dip drawer and there are only 10 bags available!